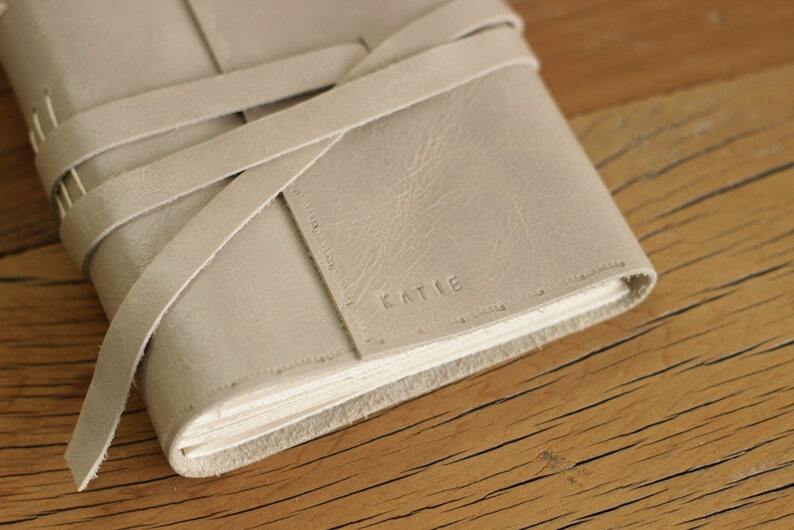 Journal made with legitimate soft leather, pattern and name (or initials) hand-embossed, hand sewn with the Longstitch technique. A leather strap is attached to keep it closed. It's flexible cover and make this book ideal to fit in your pocket or your bag, so you can have it with you wherever you go! Personalize it with your name or initials. Request for others options of leather colors. THIS LEATHER'S COLOR IS NO LONGER AVAILABLE, message us to choose from the colors available.